Clear to partly cloudy. Low 44F. SSE winds shifting to NW at 10 to 15 mph..
Clear to partly cloudy. Low 44F. SSE winds shifting to NW at 10 to 15 mph. The combination of the distance social media puts between humans and real-time interactions, the gray area of the “Me Too” movement and the scrutiny of a hyper-sensitive politically correct culture has created a dynamic in America in which people hesitate to communicate in one of humanity’s most basic forms of communication: touch. A photo on Brown’s website features a newborn grasping a parent’s finger without being taught to do so; Brown said the baby just naturally wanted the connection through physical touch. But what about adults? Is the need for touch something we get over as we age? Scientific studies have shown that touch can be decoded as a form of nonverbal communication across a wide diversity of cultures and countries. Touch can communicate tenderness, compassion, anger, love, gratitude, happiness and fear, within seconds. It can also be very influential. Research has demonstrated that individuals who have been touched are more likely to participate in mall interviews, leave bigger tips and be more amenable to social interaction. The warm hug and kiss on the cheek as a greeting from someone close to you can result in positive emotions and memories. The great thing is the benefits go both ways — the person giving the hug has a similar physiological reaction. According to a Guardian article, hugs not only help foster comfort and positive emotions, they also protect against the harmful effects of stress. Studies have shown that a hug from a close friend produces the feel-good hormones serotonin, dopamine and oxytocin (the “love” hormone) in the brain. All of these naturally occurring hormones help boost the immune system and ward off illness. One study looked at the impact of hugs during the cold season. The 404 participants were first asked how often they hug someone. Then, they were brought into contact with a common cold virus. In the quarantine that followed, it was observed how many showed cold symptoms. The findings revealed that those who received hugs on a regular basis, experienced fewer cold symptoms. As for those without partners, touch is no less important. Check with your friends to see who is comfortable with hugging, get a massage or better yet, contact the Teller County Regional Animal Shelter or Adoptable Animal Rescue Force and adopt a pet. They’re great for snuggling. Now back to cuddling. Professional cuddling has become a nationwide business. The Washington Post reported on this in an April 2018 story, sharing how this business has grown and even profiling a professional cuddling company, Cuddle Up To Me. Learn more at cuddleuptome.com. 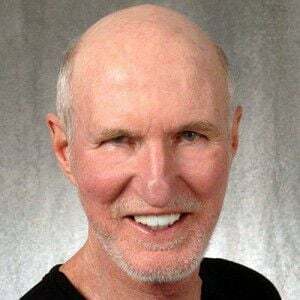 Cord Prettyman is a certified Master Personal Trainer and owner of Absolute Workout Fitness and Post-Re-hab Studio in Woodland Park. He can be reached at 687-7437, cordprettyman@msn.com. Visit cordprettyman.com for more information.